Saint Laurent's First-Ever Men's Boutique, Opening Tomorrow! This weekend, don’t be surprised if you spot a fella or two about town, walking with that added je ne sais quoi. No doubt, any extra swag (or swagger) will be thanks to the official opening of the much-anticipated Saint Laurent men’s boutique. 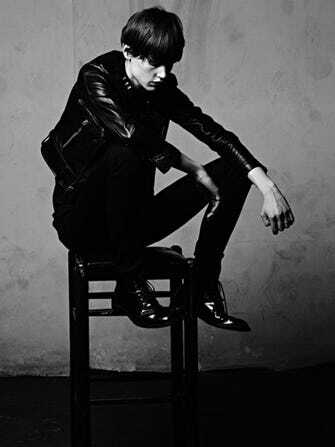 Catering to sophisticated chaps, the guys-only standalone may be the first of its kind, but it certainly isn't the first time designer Hedi Slimane has shown his love for S.F. Remember when he tapped Christopher Owens, frontman of the now-disbanded local rock band Girls, for this steamy ad campaign last year? So, link arms with your beau, or sneak in solo and nab some splendid holiday pressies for all the men in your life. They'll be so happy. Saint Laurent, 108 Geary Street (at Grant Avenue); 415-765-0975.